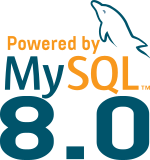 Since MySQL 5.7.5, we introduced session_track_gtidsand in 5.7.6 we also introduced GTIDs context to the OK packet (session tracker) (WL#6128 and WL#6972). So we can use this implementation in correlation with WAIT_FOR_EXECUTED_GTID_SET to force a consistent read. Currently this solution must be implemented in your application but a tool like ProxySQL might be able to implement this too. Of course as we are aware of this request and we might come one day with an easier solution implemented only in the server or the router, but for the moment this already an option for those willing to read their own writes across all members.